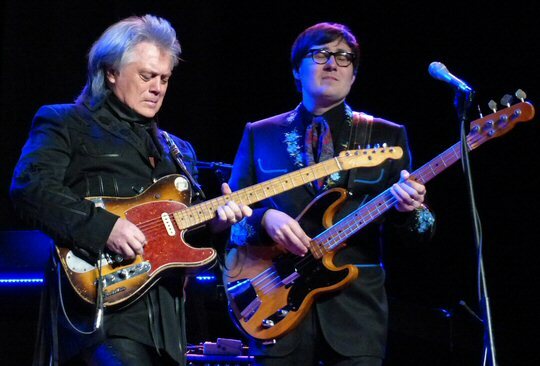 Marty Stuart and His Fabulous Superlatives opened for the Steve Miller Band on March 24 & 25, 2017 at the Ryman Auditorium in Nashville, Tennessee. The house was packed Saturday night as this popular and polished quartet took the revered stage. Decked out in matching clothes the group sounded as good as they looked. Stuart opened with an up-tempo take of "I Know You Rider". Next, "Whole Lotta Highway" showcased quality musicianship and storytelling setting the tone for the rest of their show. Marty Stuart and His Fabulous Superlatives were simply fabulous. John Marty Stuart is an American country music singer-songwriter, known for both his traditional style, and eclectic merging of rockabilly, honky tonk and traditional country music. Even at a young age Marty was obsessed with country music teaching himself to play guitar and mandolin. By age 14 he was on the road with Lester Flatt. In the early 1990's Stuart had his own string of country hits. 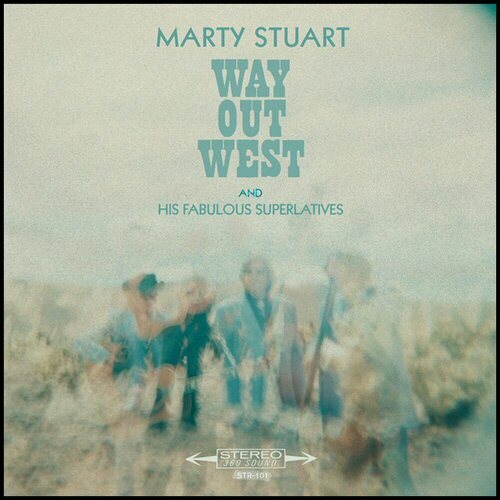 Today, Marty Stuart and His Fabulous Superlatives recently released Way Out West and they will be touring throughout the year in support of the new record. Per Marty's website, "the album was conceived as a love letter by one of Country music's living legends, whom has played with everyone from Cash to Lester Flatt, to the lonely but magical American West, specifically the promised land of California. If you go and sit by yourself in the middle of the Mojave Desert at sundown and you're still the same person the next morning when the sun comes up, I'd be greatly surprised," says Stuart. "It is that spirit world of the West that enchants me". Produced by Mike Campbell (Tom Petty and the Heartbreakers), and featuring the Fabulous Superlatives --guitarist Kenny Vaughan, drummer Harry Stinson and new member, bassist Chris Scruggs -- Marty's longtime band, which NPR Music said could "melt your heart with four-part harmonies, rock your bones with honky tonk, and dazzle you with picking worthy of their name." 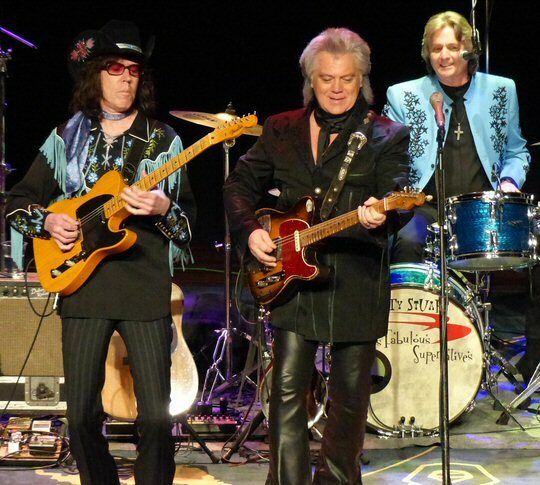 Marty Stuart who once played with Johnny Cash is another man in black. "Way Out West is a cinematic tour-de-force. Listeners can feel the warmth of those desert winds over the album's 15 tracks, a collection of newly written originals, instrumentals and rare covers like the Benny Goodman-penned 'Air Mail Special', and 'Lost on the Deser'", once recorded by Johnny Cash. I asked Johnny about that song when I was in his band," says Stuart, "and he said the only thing he remembered about it was changing some words. Way Out West just as easily could have been titled Lost on the Desert." Back at the Ryman, Marty performed some new songs from Way Out West in addition to a number of covers featuring solos from all the band members who were all also great singers. There were not enough superlatives to describe the quality of this quartet. Marty shared stories between tunes. He recalled when they had to learn "El Paso" for the annual Country Music Hall of Fame Medallion Ceremony. This was not an easy task as the classic contains a lot of lyrics and complicated chord structures but of course they nailed it at the Mother Church with a blend of multi-part harmonies and stellar instrumentation. The Superlatives paid tribute to the late Chuck Berry with "30 Days" which included clapping along with call and response parts with the crowd at the Ryman. Throughout his set Marty engaged fans with his personality and professionalism. The band received one of a number of standing ovations for "Orange Blossom Special" and the closer "Time Don't Wait" was equally as compelling. During his set Marty described their sound as high octane hillbilly music - it was that and so much more. Genre blending good time music was the highlight of a long opening slot at the Ryman. 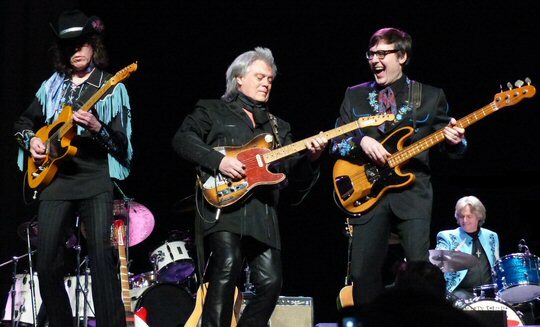 "Such an honor to play with you, this is one of my favorite bands," declared Steve Miller when he was joined by Marty Stuart and His Fabulous Superlatives during his set. The combination of the two groups presented cool, countrified takes of "Going to the Country" and "The Joker" featuring Marty on mandolin. For us this was a high point of a great night of music and a reminder of how well respected Marty Stuart and His Fabulous Superlatives are in Nashville and beyond. The Ryman Auditorium is the Mother Church of Country Music and she continues to host a wide range of artists such as Marty Stuart. Upcoming events at the well-respected venue include The Cash Legacy, Jammin To The Beat The Blues, The Mavericks, Passenger, The Decemberists and Opry Country Classics.